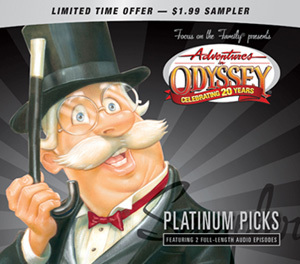 Help celebrate the 20th Anniversary of Adventures in Odyssey with two exciting episodes. A TV commercial about Whit's End! This is so exciting! Remember there are no bad ideas in a brainstorm! "Whit's End - you'll never find a place where the unexpected is so - expected."